These cute ceramic mugs are painted in a sort of folk art way. 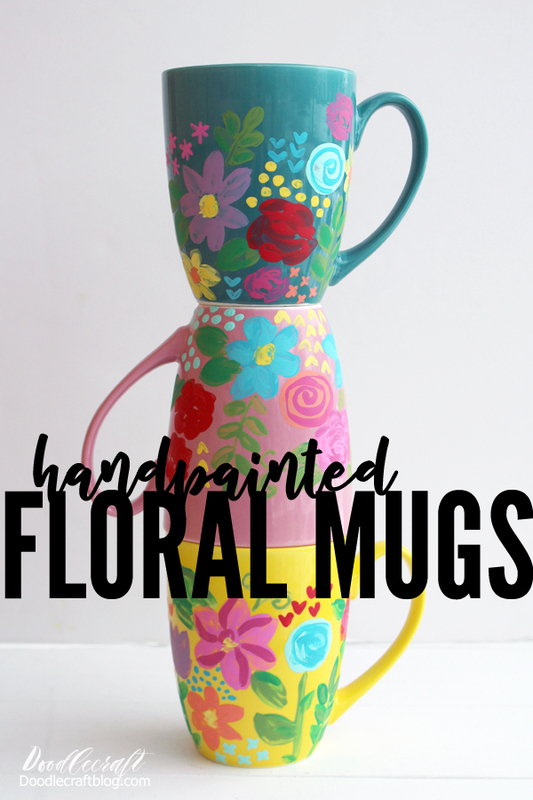 The loose florals of acrylic paints are such a fun Spring craft to spruce up some mugs, cups or waterbottles. 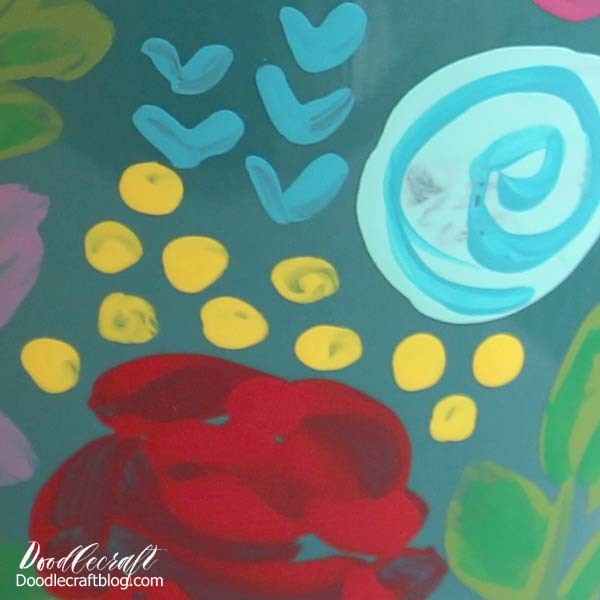 These florals are simple to paint, seriously, easy enough for beginners! Blobs of paint, swirls layered on circles, lines and curls! I love the bright colors! Which mug is your favorite? I love that bright yellow! Look closely at these mugs pictured, they are super sloppy and elementary up close...and they are stunning! Don't they look fabulous? A light layer of paint will allow the mug to show through, which adds dimension and colors. Adding other shades of paint on top once the first layer dries is good for additional detail. Adding leaves, dots, hearts and x's makes a great filler. Once the mugs are painted with stunning florals, coat the mugs with Dishwasher Safe Mod Podge. Let it dry completely and coat one more time. Such a great way to celebrate Spring! I love bouquets of fake flowers because I am allergic to the real stuff. I love painting flowers on all the things. I love these mugs and I have that Mod Podge!